You all know Fishball Story by now (if not, you can read the Makansutra story here). Yes, that young and passionate hawker Douglas Ng who is bringing back handmade fishballs, the way his grandmother used to make them. He uses purely fish and no flour. It's an arduous process that sees him up at 4am beating, blending and pressing fishballs and chili-scallion fish cakes. He's only 23 but he has got it right. 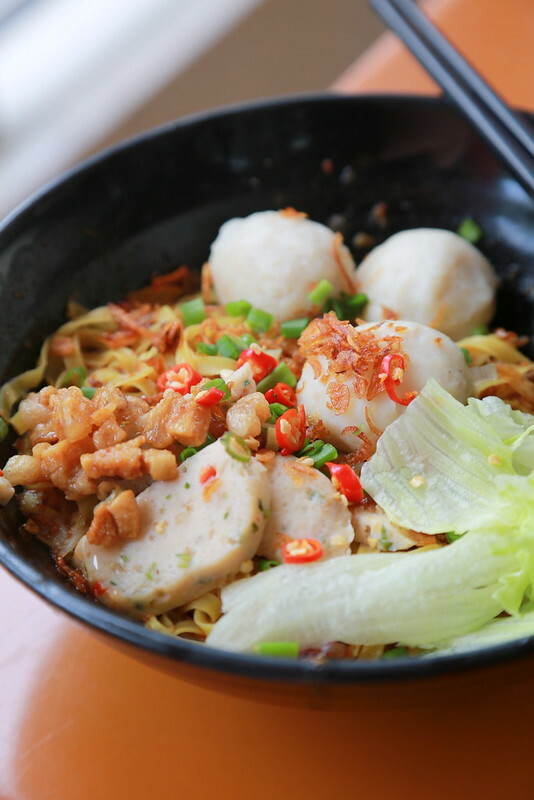 The fishballs are soft and gently bouncy, with the natural sweetness of fresh yellowtail fish. His noodles are exactly the way I like them - al dente and dry. And for S$3.50, it's a very hearty portion. What a steal for an artisanal lunch. Apart from the fishballs, he also personally prepares the sambal (which has a gorgeous umami kick from dried prawns or something), and the fried pork lard. Oh yes, I requested extra lard pieces as you can see. Freshly fried ones make a whole world of difference. I tried both the spicy and non-spicy version. The spicy one with his homemade sambal wins hands down. Honestly, folks, it's not that spicy, so even if you can't take chili heat, go for it and just enjoy. For those who need more heat, well, that's what the chili padi is there for. Here's Douglas with his ever cheery smile. They are very friendly at the stall, and really pay attention to what customers might need. They gave me more soup when they saw that my noodles had dried up a bit after photography. And I read various other instances where customers were delighted by the extra steps they took to ensure a wonderful meal. You can also visit the link below for food delivery. Car entrance is opposite New Town Secondary School, along Dover Road. 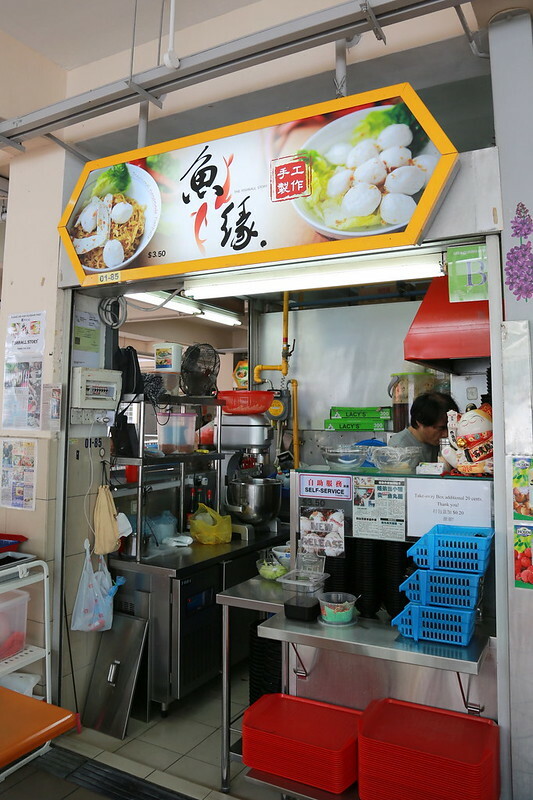 okie, next trip down south, I go cari fishballs! thanks for the headsup!